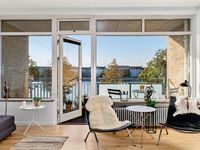 Property 53: AMAZING 200 SQM APARTMENT OVERLOOKING THE CANALS OF COPENHAGEN. Rose Garden-Excellent apartment near the central Copenhagen. 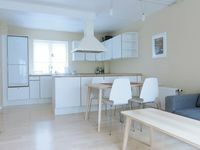 Property 57: Rose Garden-Excellent apartment near the central Copenhagen. Property 64: Cozy and Modern Flat with Great View of The Lakes! Property 87: Cosy Apartment for 3 - close to City Center! The flat is wonderful, just as it is pictured. Very cozy and with a beautiful view. Niklas was an incredible host as well. He gave lots of great recommendations for things to do, places to eat, and services we might require. All of the information regarding check in and check out was very clear and he was always available if we had any questions. Would definitely stay again! The apartment was nice. It is near of the city centre, you also have some supermarket in the surroundings. It was very clean, cozy and comfortable. The only negative thing is that the lock does not work at all well. An advise: if you are 3, and 3 are tall, the sofa bed is quite small to sleep in. If we return we will repeat without a doubt. Cristina.